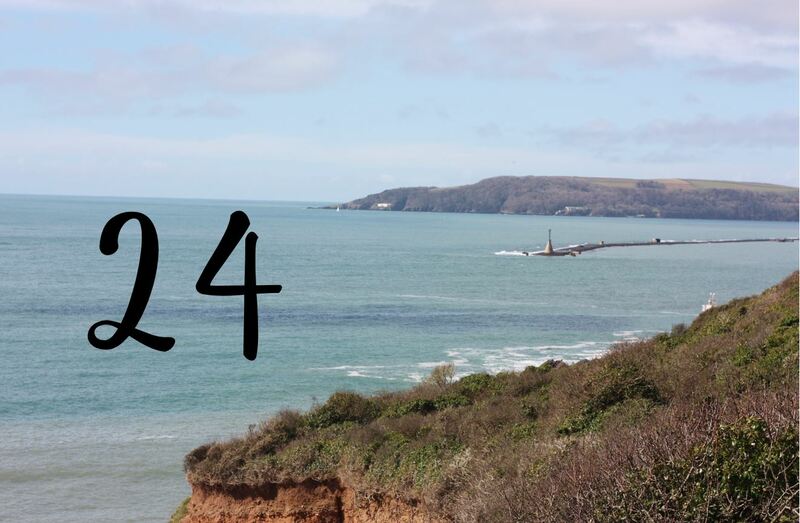 If you missed the first part of this post, click here to see the start of our anniversary adventure in the beautiful seaside town of Clovelly. 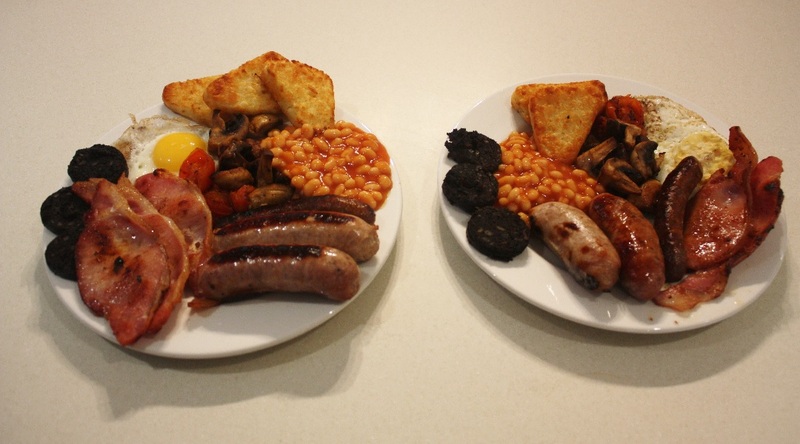 Day 2 of our lovely break away started in the best way – a lie in and a MASSIVE fry up! 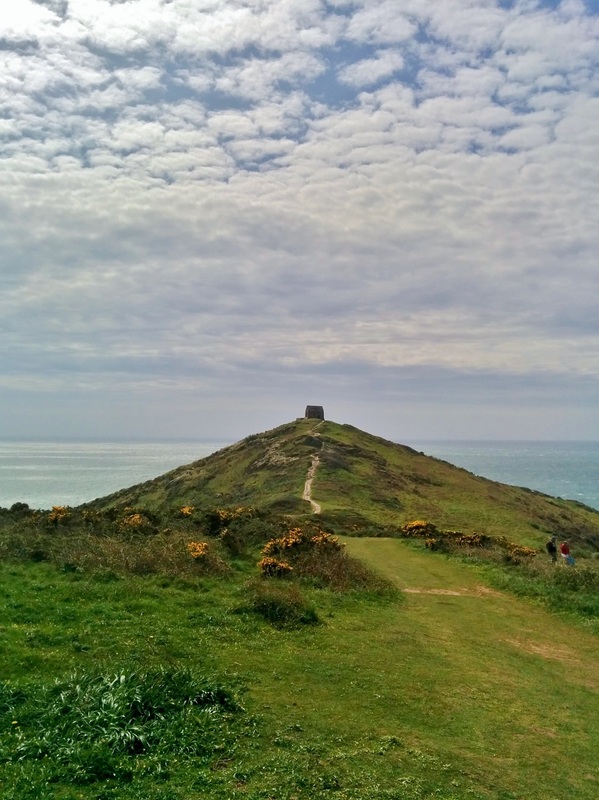 We were heading out for the day to Morwenstow on a National Trust walk I had found and as the day was quite grey and windy we needed the fuel to help us battle the Cornish breeze. 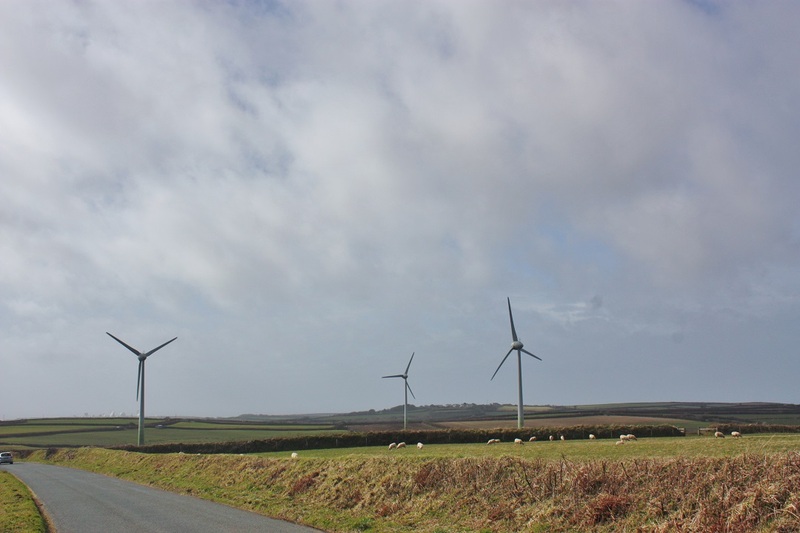 I couldn’t resist stopping and taking photos of the turbines on the way – I wouldn’t be a very good environmental consultant if I hadn’t been interested! There was so much to see along the way, and Adam had to contend with me stopping every three seconds to take photos, but even without auto-focus on the lense, I’m pleased I did take time to stop and document everything we were admiring. The day was cold (then again it was still the end of February!) but I love nothing more than wrapping up warm in a coat and scarf and facing the elements, plus as we got closer to the sea the wind really picked up and there was a huge amount of sea foam flying over the cliff making us revert into children whooping and dancing along the path catching the bubbles. 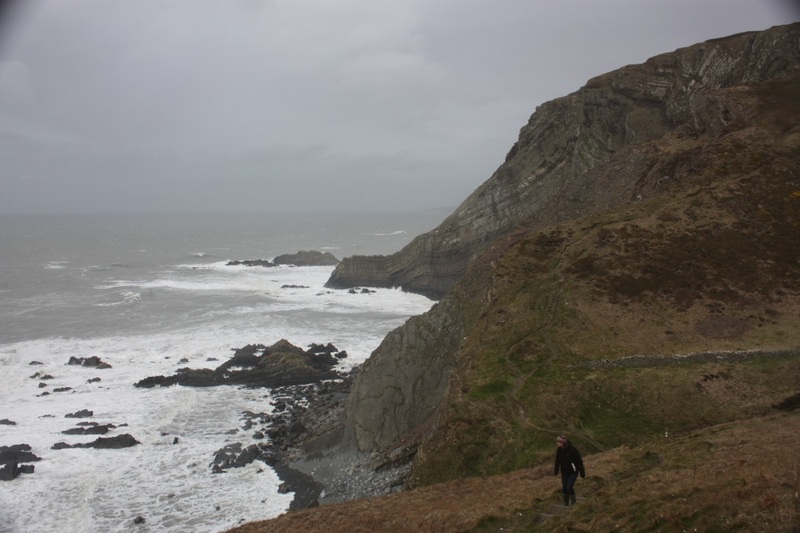 As we climbed up the cliff face, the wind was so strong you could lean right into it, which is usually really fun but I did feel a slight twinge of nerves as the path was steep and slippery and we had no signal whatsoever. It definitely felt very far from civilisation! Still, a victory snack once we got to the top helped! 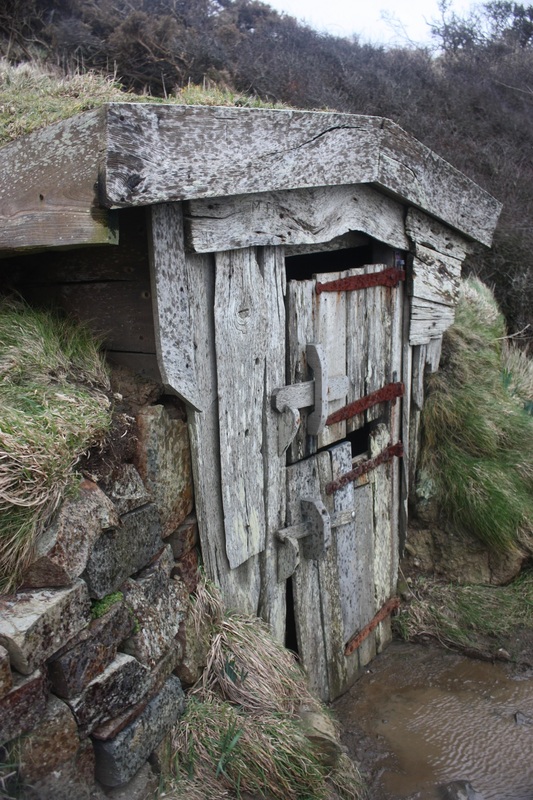 The website guides you through a field following the clifftops along to Hawkers Hut, which turned out to be a bizarre wooden hut created by Robert Stephen Hawker. According to the guide, Hawker had handcrafted his refuge from shipwrecks along the coast and used it to smoke opium and write poetry in solitude. 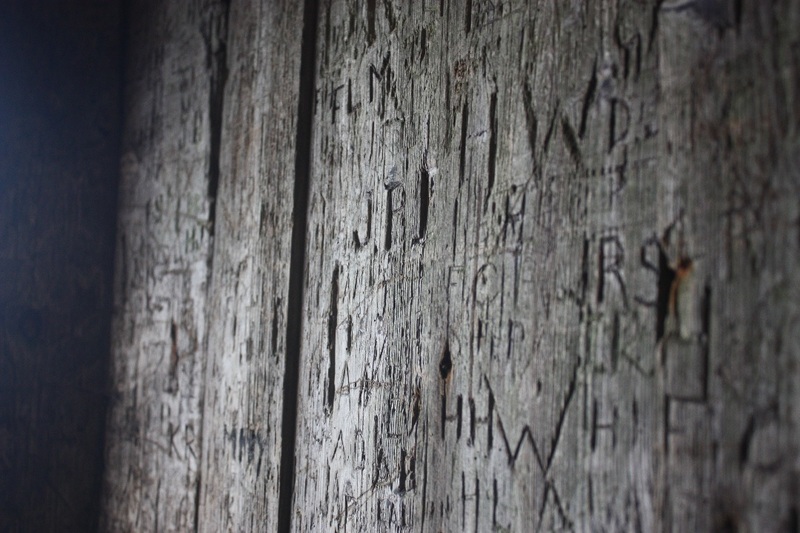 Nowadays it has been carved into by hundreds of people who have visited with some signatures are dated in the 1800s. Whilst we were sat in the hut enjoying the view, the rain started and even though we cut the full walk a little short, the way back to the car meant that we got absolutely poured on – a highlight of which was the horizontal hail! 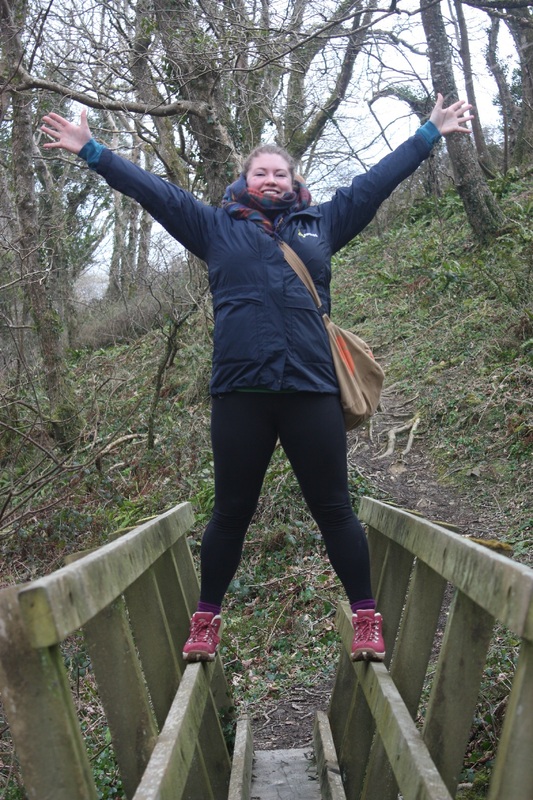 Getting lost didn’t help, but the promise of tea and cake meant we strode on defiantly – only to realise that the tearooms at the end of the walk were still closed for Winter! 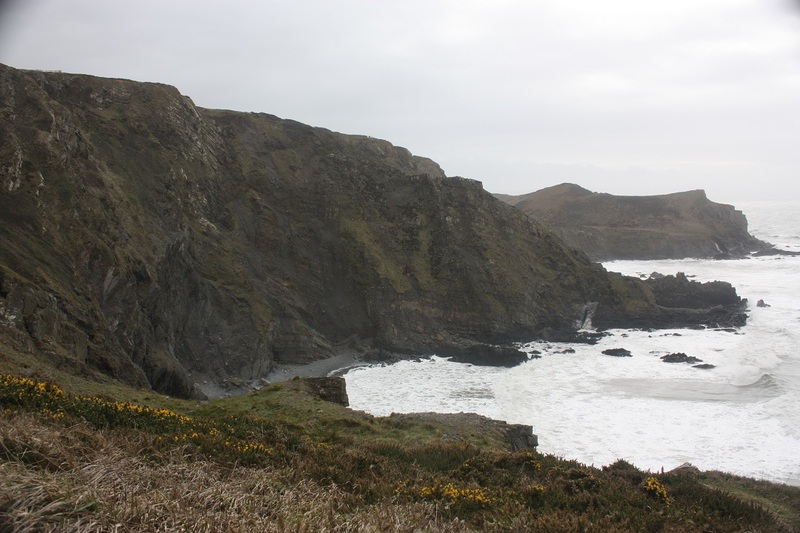 Disappointing, but it the walk blew away the cobwebs and gave me the required dose of salty sea air. If you’re in North Devon or Cornwall and it’s a sunny day in Summer, it’s definitely worth doing this walk as it crosses woodland, churches, impressive cliffs, wide open farmland and points of interest (plus if you’re sensible and go during the summer season the promise of cream teas or ice cream at the end!). For step by step directions visit here. Have you ever walked around any other areas in the area? I love the north coast so any suggestions are welcome!